Over the past two decades, one thing has changed, and that is how couples have found one another. Early on in my career as a celebrant, they would confidentially whisper to me that they had met 'online' as if it was a tawdry affair or an unsavoury confession. NO WAY was this fact to be revealed to guests at the wedding...heavens above, what would they think? More recently, the proliferation of sites dedicated to helping singles find their love match has exploded, and I see plenty of happy results. To coincide with Valentines Day our local newspaper published a delightful article about couples who 'found love online' and it really warmed my heart. The wedding I performed yesterday also made mention of how the couple met. Having found one another on a site called 'Plenty of Fish' they always joke that they met while fishing! But on this occasion there was universal acceptance from the family and friends, because times have changed! So is there a more acceptable way to find your love match? I don't think so, whether it be at a club or pub, work or a blind date, at dog obedience classes (yes, dogs have been proven to be a great way to meet people) or you were childhood sweethearts, whose business is it anyway? As long as the marriage part requires real people in real time in a real location.... I'm sweet! Yesterday was a little bit special, reflecting in the lovely feeling of having just last weekend ticked off on my thousandth ceremony (a challenging event on a windswept beach), I found two of the leading industry giants had featured me in their social media. Bride Tasmania, an institution in this state was the first and you might like to read here my interview with them. Then within the day, the lovely Rebecca Bateman-Green at Parfait Weddings and Events chose to feature my business in her 'Feature Friday' which was also so much appreciated. Rebecca is a new player on the local scene but highly professional, determined and motivated and I have no doubt she will make quite a splash on the local wedding scene! So having just counted up twenty enquiries in the is first month of 2015 it feels like this year will be a HUGE one for weddings. 2015....and my Thousandth Marriage Ceremony! January 2015 sees my 20 year anniversary as a civil celebrant, and coincidentally marks my thousandth ceremony... more about that later! This celebrant life is NEVER dull; preparing paperwork today reminded me that this month involves travelling to many far flung locations, from Adventure Bay on Bruny Island to a family farm at Oatlands, to Dunally on the Tasman Peninsula, being flown into Bathurst Harbour in a sea-plane, plus ceremonies at the delightfully named hamlet of Flowerpot, and 'Sphinx Rock' on Mount Wellington. Add a couple of lovely garden settings and a ceremony in the majestic Hobart Town Hall... it sure beats a desk job! As this year draws to a close. I would like to sincerely thank the fifty couples who entrusted their marriage ceremony to me. I appreciate all your feedback and the beautiful photos sent through as mementos. MONA, Frogmore Creek and Glen Albyn Estate, continue to be very popular venues, and I visited some lovely private gardens from Deep Bay to Hamilton, Some of the more rustic settings included Redlands, Cascades Colonial and Piermont on Tasmania's east coast. For the year we only had one change of venue due to adverse weather conditions, which is not bad. Five couples used my private courtyard to 'tie the knot' and three ceremonies were a 'surprise' for the guests. Bookings for 2015 and beyond are steady and I look forward to my milestone thousandth ceremony in January 2015 to coincide with 20 years in this great profession. Happy new year everybody! Thank you to the man who phoned me hoping to marry his 'beloved' prior to their 5:30 pm flight out of Hobart today. I am sorry that I cannot help you and I hope that you will later understand why I was unable to accommodate your wish. I understand that you have been together for five years,and are devoted to one another but the 'Marriage Act 1961' puts very clear boundaries around the 'notice' required to marry in our country. If indeed you could have proven there was a compelling medical reason for the haste, we could have worked with that. Maybe you had been transferred to another country with your work and the situation requires that you be husband and wife? That might have given us something to work with too. There are a couple of other scenarios which would maybe allow for us to dispense with the usual one month notice but I suspect these were not applicable either? The lack of any of the required identification (passport or birth certificate, and the absence of your divorce notices) was always going to further complicate the situation. These checks and balances are not designed to frustrate 'would be' brides and grooms, they are simply there to protect identity, and to ensure marriage is entered after proper consideration rather than because 'it seemed like a good idea at the time'! Marriage is an important commitment, a serious decision.... I will be VERY happy to help you if you find yourself in Hobart at a future stage, and if you have been able to give me the required notice. Dear Maxine, thank you from both of us for being our celebrant on our wedding day. This 'thank you' note has been a long time coming, but the memories are still vivid in our minds. Thank you especially (from Tony) for keeping me (relatively) relaxed in the moments before my bride arrived. That was a peculiar feeling - a nervousness unlike any other I had felt. We really appreciated having a thoughtful, experienced and honest celebrant marry us. Your relaxed style, control of the situation, words of advice and humour added so much to the day. It was the many little things that counted; from deciding where to stand, to ensuring the 'kiss' photo featured just us, to finding a way to helps soften those backward worlds mandated by the Government, and your encouragement when we exchanged our vows. Everything about the ceremony was perfect. We'll be sure to recommend you to our friends when they prepare to get married. Best wishes, Tony and Julia C.
So many couples are seeking a bit of history, something old, a convict backdrop...and there is such a place within five minutes walk of the CBD. It is 'Narynna', situated in Hampden Road, Battery Point. Constructed in the 1830's it is steeped in history, set in lovely grounds, and provides an ideal setting for an intimate marriage ceremony. Despite living very nearby, taking numerous school groups through the house, and conducting marriage ceremonies for 20 years, I have not seen or heard of a wedding being held at 'Narryna' until today. You can also check out the 'Narryna' Facebook page for more images and latest news of what's happening there. On your wedding day you will received a lovely 'Presentation Certificate' which will have your names, the date and location of the ceremony and the signatures of the witnesses and celebrant (as well as your own). This Certificate (known as Form 15, see image below) is not considered an 'identifying document' as it contains no information about you. It is pretty and you will possibly frame it, or place it somewhere safe, as evidence of your marriage. Now, you will also have signed two other forms identical in appearance, although one contains a declaration (Form 14) on the reverse. This 'Form 16' is your official Marriage Certificate; it is the one that will be sent to the Registrar of Marriages with the other mandatory Form 13 (The Notice of Intended Marriage.) Your celebrant will attend to this and has two weeks post-wedding in which to do so. A second way of obtaining a copy of your registered Marriage Certificate is to have your celebrant lodge the Application Form with your marriage paperwork. She/he will require a copy of your drivers licence or other ID as listed, and you will also complete the payment details on the form, using your own credit card number. Some celebrants say this is not possible...they are WRONG! If you are not local, and live interstate or overseas, this is by far the simplest way to ensure a copy of your registered Marriage Certificate is sent to you at your home address. You then know that your marriage has been registered by the State Registrar of Marriages, and you have to necessary documentation to show if it is your intention to change your name on your licence, passport, and other important legal and financial documents. Oh, and I absolutely dream of being flown in by chopper to some remote and amazing destination. That makes it eleven? You may be aware that the current government has recently initiated a trial of free vouchers for relationship education. Valued at $200, they are intended to provide couples (any couple) at any stage of their relationship to access some free counselling or education. This could be 'pre-marriage' education, enhancing your existing relationship, financial counselling, and even parenting courses. If you think you might like to take advantage of this, all you need to do, is register both partners through the website, and receive a 'voucher number' which is redeemable at a number of local service providers. The trial is capped at 100,000 vouchers and ends on 30 June 2015. 'Do we need this?' you ask. That's a matter between you. If you are marrying for the first time, the 'pre-marriage' focus is on lots of topics that will give you skills and understanding of one another. If you are a re-marriage and/or there are children involved, it can assist with step-parentland and financial aspects of blending your families. As a celebrant, it is simply my legal duty to inform you of the availability of marriage education and, as it happens, there is currently a window of opportunity to get something for free. As the financial advisor Scott Pape suggests, 'tread your own path'! Is Winter in Hobart a quiet time in 'celebrant land'? Well, the short answer is 'definitely not!' Having just returned form a very special two month trip to southern Europe (explains the lack of blog posts lately), it has been quite a hectic homecoming. Lots of couples start planning their wedding in the cooler months and this year is no exception. Dates are filling for the coming season, with a sprinkling of ceremonies in the next few cooler months as well. This is the time I generally take an opportunity to update my ceremony resources so that a) they don't become 'stale' and b) clients can be sure of a great range of ideas, both contemporary and traditional. I am looking forward to the arrival of new business cards, and renewing connections with favourite wedding venues. Annual training obligations require that I select a training provider and coursework totalling five hours. Last year the chosen electives were 'Twitter' and 'Ritual in Ceremony'. This year, I am still deciding just what might benefit my business and my clients. I won't be attending the industry conference in two weeks although conferences are a great way to keep informed and updated, plus the Gold Coast does look very appealing right now. Recent changes to the Marriage Act will see celebrants paying more to perform their role. The introduction of an annual registration fee of $240 from 1 July 2014 is designed to set the Marriage Celebrants Section of the Attorney General's department on a 'cost recovery' footing. Further to this, aspiring celebrants will pay $600 to have their application assessed, regardless of whether they are successful or otherwise. You are probably asking what this means to you, the marrying public. Certainly there is a suggestion that celebrants will pass on this additional cost to their clients. If you perform ten weddings per annum, this would effectively add $24 to the cost of each ceremony. For celebrants like myself, who perform 50 or more weddings annually, I predict there is likely to be little if any change to their fee. Time will tell. Newly appointed celebrants will have a large outlet, with this fee added to all the other costs of setting up business (computers, software, sound equipment and advertising to name just four of the major costs). You might like to ask your celebrant whether you are bearing the cost of this change OR whether maybe they are absorbing it as just another business expense? Alternatively, should you lock in your celebrant before this fee is introduced, as there may be a 'window of opportunity' to get the 'pre-price rise' quote locked in? Finally... good news for Australian born couples! Couples born in this country who cannot locate their original birth certificates will finally be able to produce their passport to their marriage celebrant from 1 July 2014. This administrative change was due to take place in 2013, but the change of government saw the planned change put 'on hold'. Happily the legislation has been passed by the Parliament this week. No more paying the local Registrar of Births to obtain a copy of your birth certificate as a pre-requisite to marriage when you can simply whip out your Australian passport. In the land of celebrants there has traditionally been an element of 'tension' between those who have spent years in the profession, and feel they have very well honed skills and lots of experience to offer clients. On the other hand are the newly registered celebrants, often offering potential brides and grooms a 'fresh' and 'modern' alternative. Most couples I meet as part of their wedding planning journey, say they are not sure of the process, uncertain why to look for, and they are very much operating without a lot of understanding of what their celebrant needs to be able to do. As with every profession, there are some excellent more 'mature' celebrants, whose support and guidance give a lot of marrying couples peace of mind and confidence that things will be well managed, and all eventualities covered. There are also older celebrants who don't inspire confidence, who may have become entrenched in their way of 'doing things', and who may not be fully listening to their clients to ensure their wishes are taken into account. Equally, some more recently registered celebrants are highly motivated and fresh, full of ideas, and extremely professional. Others are not as well set up, don't have the experience to draw upon and lack understanding of all their requirements and/or how to manage various challenges that may arise. The age of your celebrant is but one of many factors you should be considering. I suggest you meet two or three, seek personal recommendation (not hard if you live locally) and ask them a few key questions. I would want my celebrant (just like my doctor, lawyer or accountant) to be professionally connected, in touch with other like minded people and engaged in professional dialogue and activity. I would want to feel VERY comfortable in their presence, and I would be seeking evidence of highly organised systems in their business. I would not take anything on face value or make an assessment purely on age or longevity in the game. Like all professions, there is room for both new players, and those who have been plying their craft for a long while. "I'm not 40, I'm eighteen with 22 years experience." Sitting in the floor to ceiling window, sipping on a Clarence Plains pinot before the start of our movie, my husband and I were full of admiration for John Kelly's amazing transformation of the State Cinema, into a vibrant hub, providing a wide and ever changing range of movies, a great meeting place for a quick (or leisurely) drink, an interesting menu, and a great bookshop. Less known is the amazing function room, one floor above, with a deck boasting a complete panoramic view of Hobart. I was informed by the waitress that there has never been a wedding at the State, but I'd love to suggest you could do far worse than invite a group of your closest family and friends to enjoy this great atmosphere and view.... just an amazing backdrop for a wedding for anybody who loves this city. I have just turned down three enquiries in 24 hours because the ceremony time had already been booked. 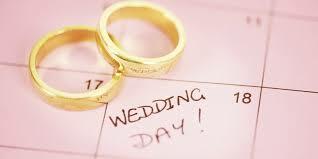 There is no doubt that 75% of weddings occur on a Saturday afternoon, around 4:00 pm. The earlier you contact your celebrant, the more likely you are to get your preferred choice of both time and celebrant. I offer a discount for ceremonies that are held on other days of the week, and it can be a great idea to think laterally and consider the possibility of NOT marrying on a Saturday afternoon. I also provide an incentive to hold the ceremony slightly earlier, and holding a day-time party. These can be great fun too! My earliest ever ceremony was held at dawn - I certainly don't endorse this as a great option, but recently officiated at a ceremony at 10:30 am , and this led to a huge outdoor party for family and friends, and in this case, included a large contingent of children. If you know your ceremony is near a long weekend, Fridays and Sunday can work very well for your guests, and you are more likely to get the celebrant of your choice. 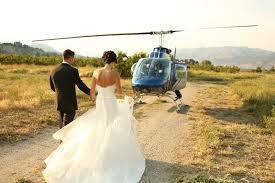 This is especially so if you are planning your ceremony with relatively short notice. It was a beautiful summers morning, with guests gathering at this rural property perched on the hill overlooking the Huon River and Petcheys Bay. The chuppah (pron hu-pa) had been set up with a circle of hay bales around it for all the guests to be seated. We collectively sang a lovely 'circle song' as the groom, bride and their small family made their entrance. The ceremony featured a Ring Warming, the 'wrapping' of their family in the blankets the couple gifted one another as engagement gifts, the exchange of the rings and vows, then the Ceremony of the Seven Steps which involved the couple taking their first seven steps as husband and wife, making a public commitment at each step forward. An Apache Wedding Blessing followed, then it was off to the location of the tree planting. As guests threw a sod of soil into the hole with the newly planted oak, we signed the register on the adjacent hay bales. Such a celebration of love, of family, and of community! We shall be Best Friends Forever. We shall nurture each others dreams. Together we shall make each other happy. We will fill our home with play, life and laughter. We shall gather around our family table daily to celebrate life. Together we shall love and care for our children and our families. We promise to keep our love sacred. 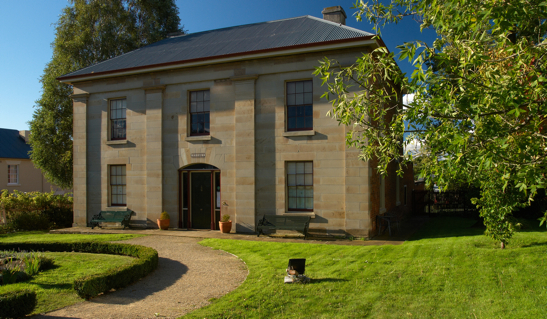 I am looking forward to performing indoor ceremonies at Glen Albyn, the Avalon City Retreat and the Tasmanian Museum and Art Gallery, so watch this space! When shopping for your celebrant, you will find a variety of prices, and wonder 'why the variation?' You may also see the opportunity to save a few dollars that can be put 'to better use'? So how do I convince you that the service fee is only one of the factors you need to consider when selecting your marriage celebrant? Does your celebrant have professional network, including colleagues they share and exchange ideas with, as well as people they trust to step in for them should they unexpected fall ill (rare, but it does happen!) Are they a member of a recognised professional body, and kept informed of industry news? We all know that the more we do something, the more practised and polished we become at it. The same can be said for celebrancy. Is your celebrant good at listening, and working with you to ensure your ceremony is personalised? You also want to be confident that your celebrant has public speaking experience and the ability to communicate to a large group in a warm and engaging style. Can your celebrant show you photos of ceremonies they have performed? Do the bride and groom appear relaxed and happy? Does your celebrant have testimonials they can refer you to? In Hobart, it generally takes very little time to find some personal recommendations to check out. Many venues and most photographers will also have a pretty good idea which celebrants they find the most professional and organised. Sometimes this will lead you to an experienced celebrant, with many years of work in the field, other times, it will be a fresh new face with a great approach. Sometimes the memory of a ceremony lingers... everything comes together and, lets face it, the setting has a lot to contribute. Yesterday was one of those days... from meeting the couple, planning their big day from interstate, to a lovely 'meet and greet' the couples parents two days before the wedding, to seeing all the effort come together on a perfect spring evening. The sublime setting pictured below is the award winning Peppermint Bay, some 40 km south of Hobart. The majority of guests, including the groom and his groomsmen, chose to arrive by catamaran. The bride made her entrance, preceded by five vivacious nephews, two of whom had the rings secured tied in a heart shaped dish. All proceeded according to plan, until nobody could untie the knot securing the rings... lucky for the well prepared guest who had a pocket knife at the ready. With a colour theme of silver and yellow, this ceremony was picture perfect, and I look forward to adding a photo to my gallery once the wonderful Chelsea Parsons has woven her own particular brand of magic on them.